Monkey Moore is a relative search tool. 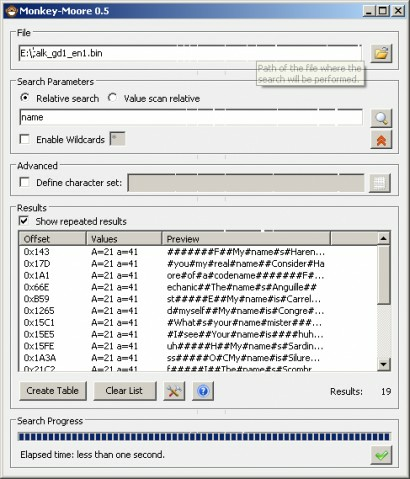 Relative search is a powerful technique for figuring out unknown text encoding methods and is used extensively by ROM hackers to help doing as such. Source code available from website linked. Unknown, no apparent functionality added and previous version added value scan and other features not present in version 0.3a so presumed to be a bugfix.